Formatop has over a thousand patterns of laminate tops to choose from. 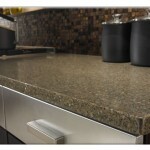 Laminate tops are the most affordable option. Just because laminate is affordable, does not mean you have to sacrifice on looks. The new finishes and patterns give you the look of granite, petrified wood, marble, slate, limestone, and wood tones. Add the fact that there are over 12 edge profiles and you can get an elegant look at a fraction of the cost of other countertop materials. 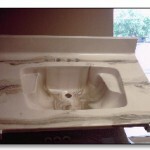 You also can choose to have an under mount sink installed in your laminate top. These sinks have models available in stainless steel and acrylic. Cultured marble is a perfect product for bathroom applications. They provide a seamless top, backsplash and bowl. There are over 20 swirl and granite patterns to choose from, as well as nine bowl styles. They have been hand-pouring these tops for over 25 years. Solid surface tops such as Corian are a renewable acrylic surface. 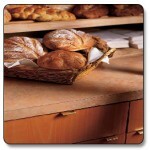 Solid surface tops have a seamless appearance that is non-porous and are easy to clean. They also furnish and install quartz countertops. 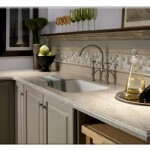 Quartz tops are the most durable and heat resistant countertop they offer. It never needs to be sealed! There have been many changes since Formatop started making countertops in our Sioux Falls showroom in 1960. Yet their mission has not changed. They continue to offer trend-setting edges, innovative colors and patterns, and the most contemporary finishes. Let Formatop help you create spaces that Restore, Refresh, and Recharge.